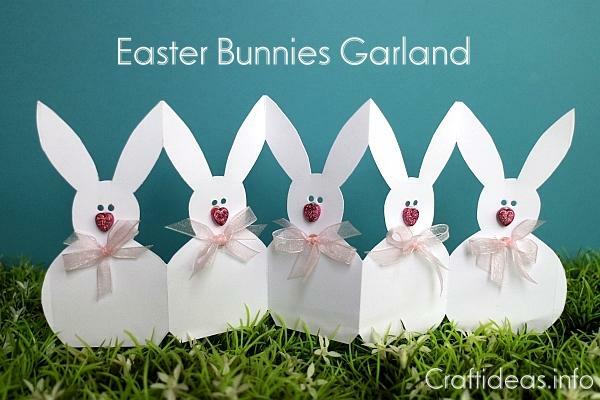 All it takes is a little folding and cutting to make a colony of precious paper bunnies to decorate your table for Easter. Because they are folded, they can stand on their own. 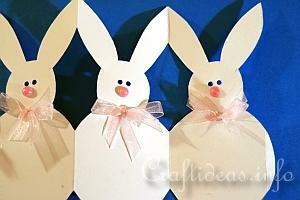 The same bunny silhouettes also would make a cute border for a window. This project can also be taken step further and turned into a tea light holder. The link to that project can be found below. 1. 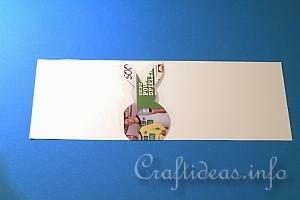 This bunny template was printed out so that it measures 5.5 centimeters from the straight edge to the outer round edge of the bunny body. 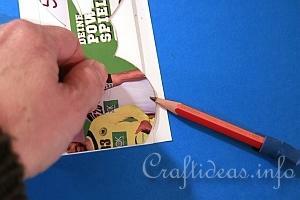 The template was then glued onto a cereal box side to make it more sturdy to trace around and then it was cut out. 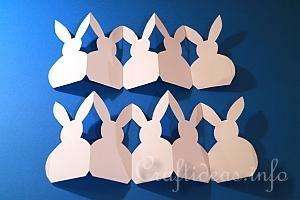 To make a garland with 5 bunnies with this template, 27.5 centimeters of paper plus 2 centimeters more was needed plus the height which was 12 centimeters plus a centimeter more. 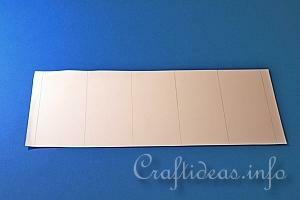 That makes the paper strip a total of 29.5 x 13 centimeters. 2. 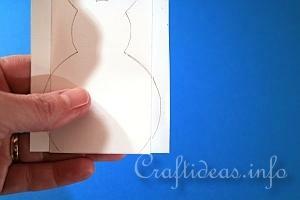 Start on the left side of the paper and draw a 1 centimeter line from the top to bottom. 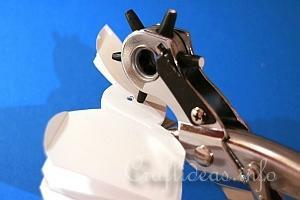 This will enable you to have a round body edge. Then measure five 5.5 centimeter segments. 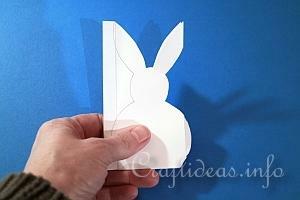 At then end you have then 1 centimeter left for the other body side of the bunny. 3. Score and crease these lines in accordian style. 4. Place the straight line of the rounded side of the bunny template on the left side where the 1 centimeter line is and line it up. 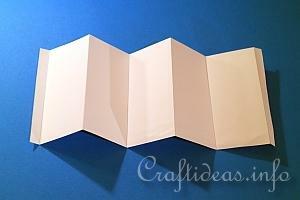 The other side should be lined up on the folded line. Then trace the bunny. On the left side, add the rounded edge in the 1 centimeter space. 7. This is how it should look like now. 8. Then cut away the right side, making sure that the rounded edge is included. Cut away also the area in between the ears. 9. Then cut away the left side, making sure that the rounded edge is included. 10. When you now open it up, you have the garland. The inside edges are connected and the outside edges are rounded. 11. Close the bunny again and mark where the eyes will be and punch holes through all the layers. 12. Add the final details such as noses and a ribbon bow for their necks. 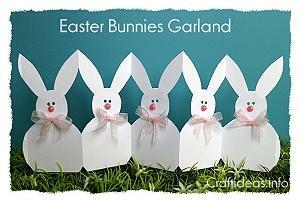 These bunnies have big heart noses and look cute and whimsical. 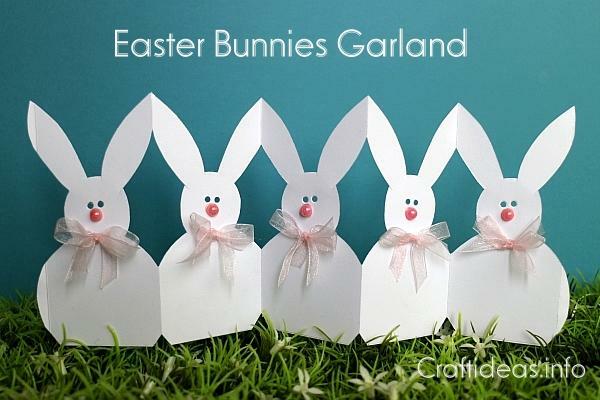 Read how to take this project a step further and use the garland to make these Paper Bunny Tea Light Holders.